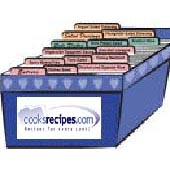 This terrific recipe for 10-Minute Fruit Crisp was submitted by Sara of Washington, USA. Spread fruit in 13x9x2-inch pan. Sprinkle dry cake mix over and drizzle butter over all. Sprinkle nuts on top and bake for 30 minutes or until fruit is tender and top is lightly browned.